So I normally post beauty content on Fridays but I was feeling super lazy and didn't shoot any of the products I wanted to feature... 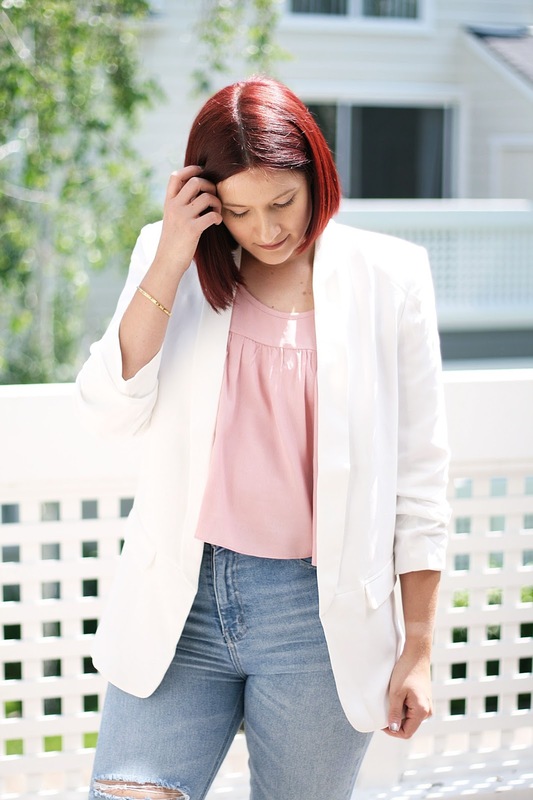 So you get this new spring look instead and to be honest I was pretty eager to show you this outfit anyway because I am in love with my new blazer from Tobi. My wardrobe is full of blazers as they are just easy throw on pieces that instantly bring an outfit together and white is just the perfect addition for my spring looks. This outfit is quite casual but with the added blazer it looks like I've made a real effort. 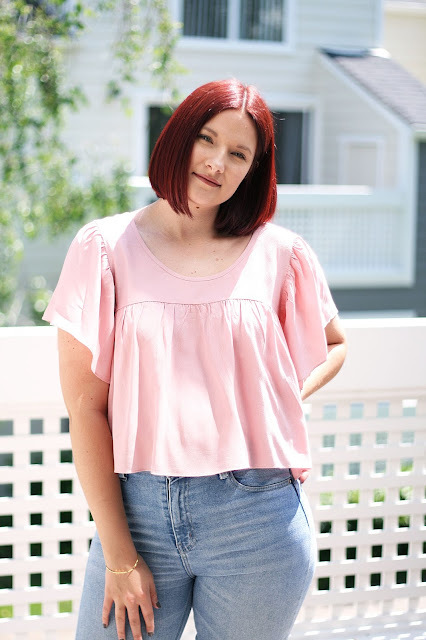 I've styled this look with a gorgeous blush swing blouse which is extremely flattering and amazing for the hotter weather as its just so breathable, its also on the cropped side and works well with my high waisted ripped girlfriend jeans. 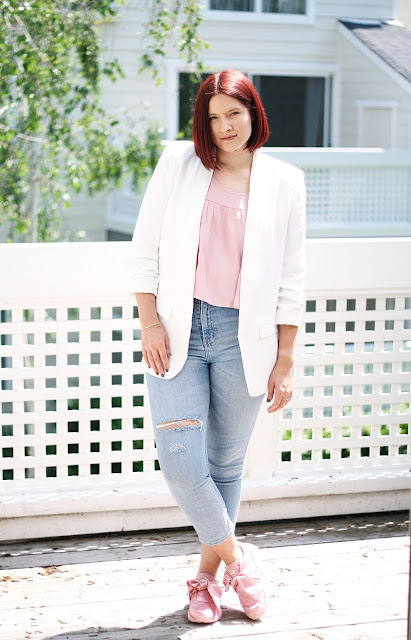 White or pink trainers would have worked well for this look too but I chose to wear my new satin pink Puma Fenty to finish of this chic cool girl spring look! 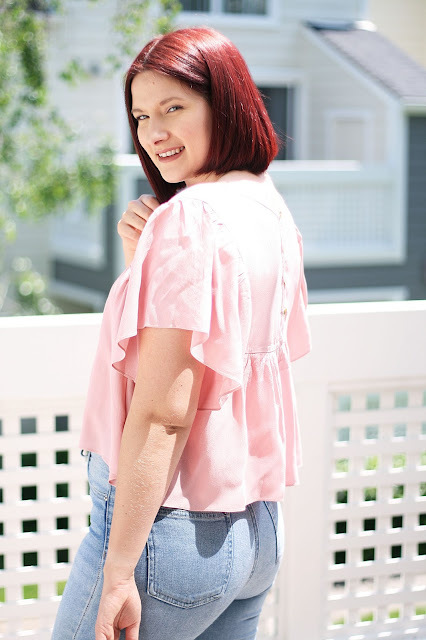 I would love to hear your thoughts on this look! As always I have linked all items below, enjoy!